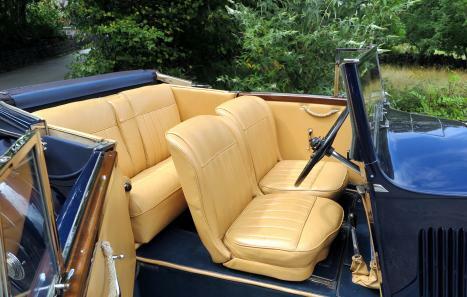 A very handsome, rare and desirable coupe, in clean & smart condition, and being three position, offers a versatile range of options in terms of coachwork configurations. 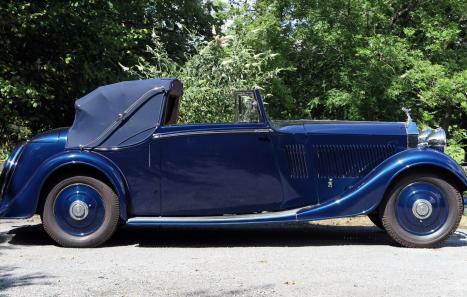 With its louvred bonnet & scuttle, ‘trouser crease’ wings, rear mounted spare wheel, 'Ace' wheel discs, excellent chromework, the impressive array of lamps (P100 headlamps)and horns, the car really is pretty and very well balanced proportionally. 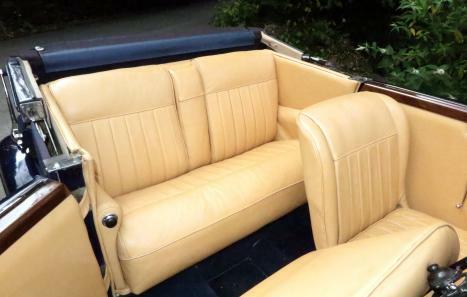 The paintwork is in a lovely shade of pearlescent deep blue (needing a little attention), with harmonising blue mohair hood, excellent blue carpets and light tan leather interior, a combination that works very well in our opinion. The file contains various history, including an invoice for approximately £9,000 spent on re-commissioning work in 2015/16. Fitted with a stainless steel exhaust system, flashing indicators for safety's sake, running nicely, MoT tested until July 2019 and complete with the large tools in their correct clips in the engine compartment and various original small tools in the bootlid tray. Mrs E H Campbell registered GAF81 at both her London homes – Down Street in Mayfair and Rutland Gate in Knightsbridge. A later resident of Down Street was Sir Robert Young (1871/1959) noted physician & tuberculosis specialist and during the mid 1800s Rutland Terrace was the home of Septimus Godson (1799/1877) barrister and brother of Richard Godson MP for St Albans. South Lodge at Rutland Gate was also the London base of the Llangattock family and was purchased shortly after the birth of their most famous family member - Charles Stewart Rolls. 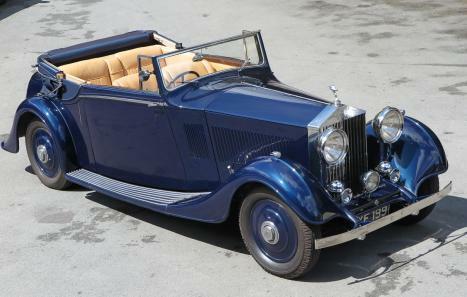 During the 1950s GAF81 was still in London this time in the Belgravia area with L. Candler of Chesham Place which via the master builder of the 19th century – Thomas Cubitt – is connected to Camilla, the Duchess of Cornwall as she is a direct descendant of his. By the 1980s GAF81 was with a “Singing Solicitor” – this was Winston Ku who had studied law at Oxford and had been trained as a classical singer by the French Baritone - Gerard Souzay.